"Everything put together falls apart" is the kind of sage-like adage that you often hear elderly relatives offering up over the dining table in-between moaning about Brexit and discussing the weather, and is a phrase most people under the age of 30 will surely dismiss out of hand, but for me personally – as someone who hits the ripe old age of 40 this year – it's becoming harder and harder to ignore, for more reasons than one. If you're anything like me, you've got a sizeable collection of treasured retro systems, ranging right back to your childhood (my first love was the Mega Drive) to more recent curiosities (last year's big retro purchase was a Japanese GameCube complete with HDMI connector). While I'm keenly aware of the fragility of optical media and the sensitive hardware required to read such discs, I've always laboured under the impression that anything cartridge-based is near-invincible, and is still going to be in good working order when I'm touching 80 – at which point I'll no doubt be getting comments from Elijah Wood-style punks mocking me for 'using my hands' to play my 'baby's toy' (if I'm still in any position at that age to even do so, of course). 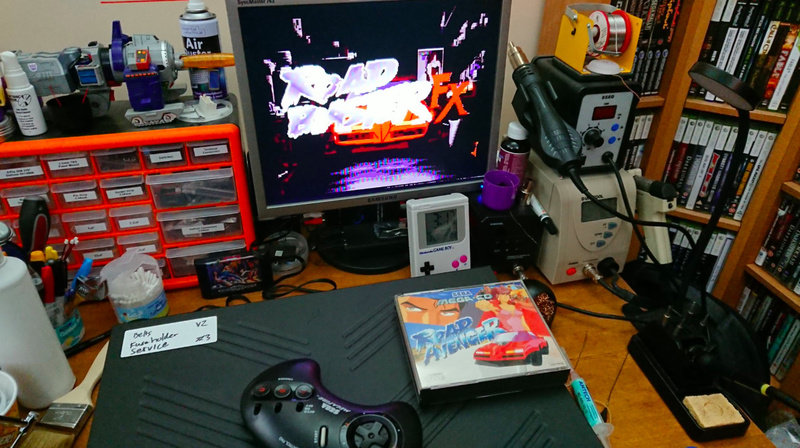 My recent wake-up call came as I pulled together my review for the superb Analogue Mega Sg, an FPGA-based clone system that accurately replicates the performance of Sega's Mega Drive / Genesis – right down to the point where it's possible to connect the system to a Mega CD add-on. It's at this point I was given a sobering lesson in how vintage hardware is slowly but surely dying. The Mega Sg and Mega CD simply refused to play nice with one another, and for one brief moment, I actually assumed this was the fault of Analogue's brand-new system – the foolishness of which really hits home as I type it out. I was placing the blame on a system that had just rolled off the production line, rather than a piece of technology that’s over a quarter of a century old. In my defence, the Mega CD works fine with my original Mega Drive, but this fact was simply masking problems which needed addressing, and fast. Even when I approached Simon Lock, someone I've followed on Twitter for years thanks to his fascinating documentation of retro repair jobs he's undertaken, I was still of the opinion that while my beloved Mega CD might be to blame, it was perhaps more down to it being a hardware revision that the folks at Analogue hadn't encountered previously, hence the weird issues. 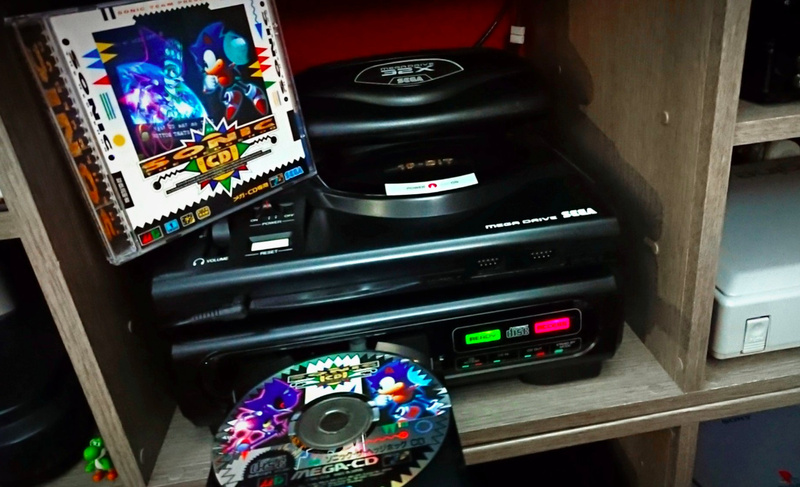 All it took was a few photos of the inside of the Mega CD – snapped at Lock's behest – to totally destroy that mindset and send me spiralling down a rabbit hole of retro gaming despair. Lock is, for want of a better term, a technological wizard. He has repaired countless machines over the past few years, many of which were seemingly destined for the scrapheap. He's got a fondness for Sega's '90s hardware, and has resurrected Famicom, Famicom Disk System, Twin Famicom, NEO-GEO AES, MVS, Master System, PC Engine Duo, Mega Drive, Multi-Mega, Saturn Mk1/Mk2, PlayStation, and PlayStation 2 consoles during his career. I knew that Lock's speciality was Mega CD systems, hence my initial contact. His rather grim reaction to the photos I snapped told me all I needed to know – the news wasn't good. The irony is that prior to my experience with the Mega Sg, I'd assumed my Mega CD had many, many years of active service ahead of it; purchased a few years ago from eBay, the Japanese Mk1 model had been 'refurbished' by the seller, with a fresh CD drive belt fitted and a full service thrown in for good measure. Until the Mega Sg arrived, I thought my Mega CD was in good health. Lock quickly identified several key issues with my unit, some of which could be the cause of the incompatibility with the Analogue Mega Sg. He totally shattered my belief that retro consoles are, by and large, indestructible; it's a reality check he's used to handing out. "I do encounter a lot of opinions of 'well, mine has been well looked after' and 'mine still works from new'," he explains. "Sadly, how well you look after something doesn’t always mean that internally you have a system absent of perishable components; via age, humidity or design longevity/manufacturer component quality of that era." It's a difficult pill to swallow, especially when it's perfectly possible to find an Atari 2600 in a charity shop that's in (seemingly) good working order; when a console from the '70s is still capable of functioning today, it's easy to see why retro collectors – like myself – have been lulled into a false sense of security. Sadly, the tech inside our most treasured machines is, like any other piece of hardware, slowly but surely falling apart, and it's not just one issue – these platforms are being attacked on several fronts at once. "Surface mount technology/device (SMT/SMD) electrolytic capacitors from the late ’80s to mid-to-late '90s era hardware are one of the most common problems," says Lock. "This design, over through-hole packages of the era, improved upon assembly times and allowed for further assembly automation. Sadly, the design had limitations with the smaller package size during that era; the di-electric fluid is prone to becoming more volatile over time, leak protection was not as reliable as it is today and the design does not allow for top venting in the event of component failure. 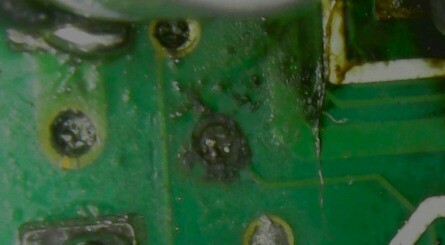 This causes the fluid to leak out onto the printed circuit board directly where it reacts with metals – such as copper traces or brass screws – resulting in damage. This can lead to breaks in the circuit or worse, an unintended bridge or shorts in the circuit." This particular issue was present inside my Mega CD; Lock likened the impact to "pouring tiny metered doses of full sugar Coca-cola onto the circuit board" – gulp. Batteries found inside certain consoles can also cause problems if left unattended. "These also break down with their contents being highly volatile as time goes on," Lock continues. 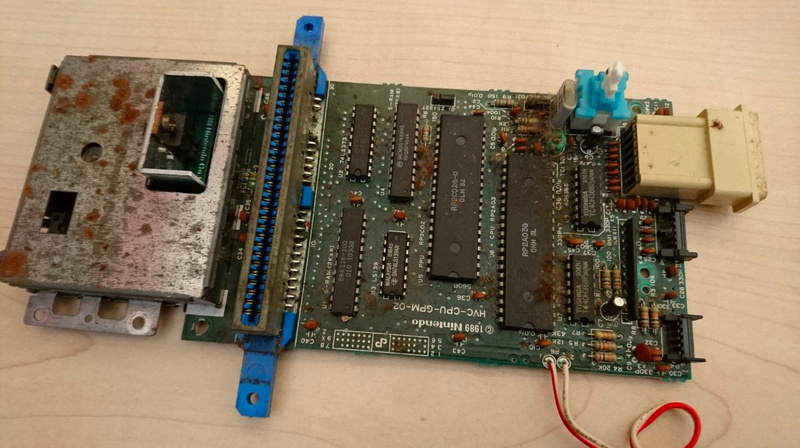 "Many systems have batteries mounted above or soldered directly onto the board which means when it fails, the contents will spill out onto the board. Some systems have internally housed batteries within integrated circuits for keeping time, save data or even decryption keys. Once these have failed, the system will either function incorrectly or not at all." Voltage regulators can also fail over time, mostly due to the amount of heat they produce during normal use. "A favourite found in mid-'80s to mid-'90s systems is the 7805-based linear voltage regulator, which takes typically takes 8.5V to 12V DC input voltage to output 5V used by the system internally. NEC parts of this type are particularly 'replace on sight' due to their build age and operational lifetime. When this part beings to fail, voltage output can drop or spike high causing the system to become unstable and this places strain on other components in the system. When it fails, they can fail open (no output) or closed (input goes to ground, or worse, output); the latter can be catastrophic. Areas of a system that have high exposure to heat cause more rapid wear on other perishable components, such as electrolytic capacitors. 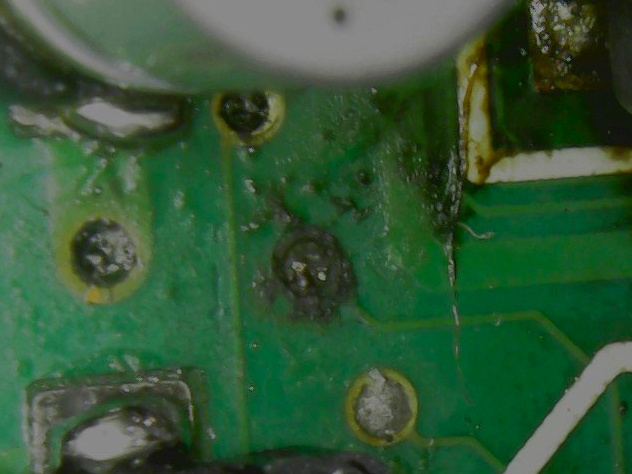 Some systems have these capacitors positioned right next to voltage regulator components, which are very prone to causing localised component failure." We're not out of the woods yet, either. As well as the tech found inside your console, the power supply you use to bring it to life can also become a serious problem as the years roll by. "There is a school of thought that dictates you should only use the original manufacturer supplied external PSU with the system it was shipped with, or an authorised replacement," says Lock. 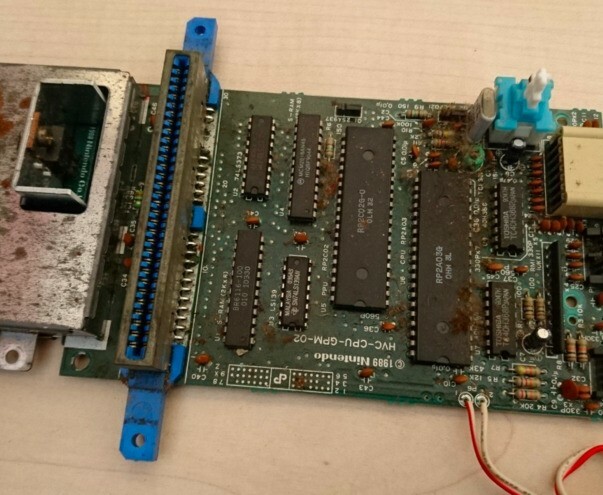 "Whilst this was true for many systems at the time of manufacture – though not all, the Amstrad GX4000 being a notable example – these also experience age and heat-related component failure, with the result causing damage to systems there are used with. I would advocate not using an original external PSU for systems produced in the '90s or earlier, unless it has been fully serviced by a qualified professional." 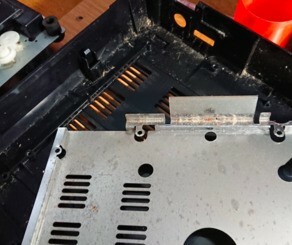 We've already touched upon issues with optical media-based systems, but it's worth highlighting that often, problems with CD and DVD-based consoles are more likely to do with moving parts than the actual laser which reads the disc. "Typically, if you look up a system with moving parts, the word ‘maintenance’ will be mentioned," Lock comments. "The same is true for mechanical optical drive systems. Lubricants perish over time, plastic becomes more resistive to movement and belts driving the system also perish under the increased strain. What commonly gets attributed to 'laser failure' is more often than not a mechanical issue rather than an electrical component one. Original grease can break down into a tacky or even resin-like compound resulting in significant wear on other parts of the system unless serviced – including belts, guide rails, and tracking motors." The final issue is one that the more squeamish amongst you may want to avoid reading. "If you store a console for long enough dormant, something is going to make it a nice new home for their offspring," says Lock with a grin. "It’s all too common to find insects and arachnids – or worse – making your vintage hardware a new nursery in which to raise their family. This is a common discovery for systems stored in attics, garages and sheds, where human presence is inconsistent. This can obviously have all sorts of implications for your system." Er, yuck. Storage is, ironically, another thing that can damage your console. We may assume that a classic system tucked away in an attic or garage is safe and sound, but that's often far from the truth. "Storing your devices outside of a consistent room temperature environment can lead to issues, along with temperature extremes during seasonal changes," Lock explains. "Excess moisture will lead to corrosion on vulnerable materials – especially an issue with PAL systems which are subject to RF shielding regulations for sale, requiring all or part of the system to be enclosed within (often poor quality) metal coverings inside. Summer heat can have a drastic effect on heat sensitive materials – such as cables and packaging – and components, batteries especially. Plastics prone to yellowing due to high bromine content in their make-up are especially vulnerable to having excess heat and humidity accelerate the process." Out of all the machines Lock has worked on, he says there are a few which crop up more often than most. The Mega CD, which we've already touched upon, is a serial offender. 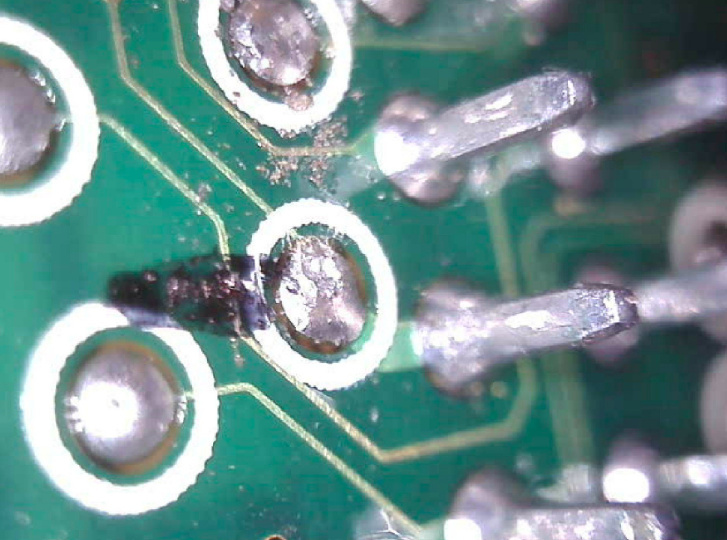 "Suface Mount Device capacitor failure on the main board can lead to erratic behaviour, loss of functionality or total system failure," he explains. "Typically, this also leads to the rechargeable ML2016 battery failing as a result. The NEC 2405 (7805 design) voltage regulator overheats and can cause accelerated local component failure, especially to the nearby capacitors." Outside of the Mega CD, Nintendo's famous 8-bit console is one of Lock's most regular repair jobs. 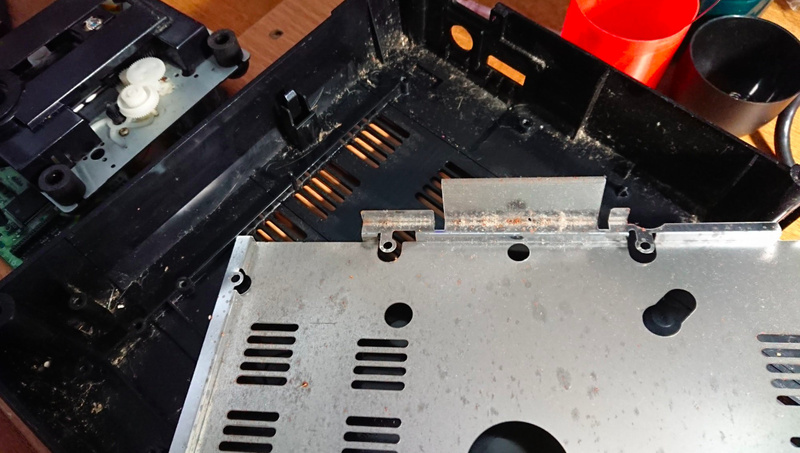 "The NES is plagued by oxidation and corrosion issues, resulting in deposited material inside the 'Zero Insertion Force' system on front loading systems, typically occurring due to cartridge ‘Game PAK’ storage and use conditions," he says. "Sadly, a culture of gamers spit-blowing on their Game PAKs to offer a short-term remedy to this hasn’t helped matters as the systems get older. 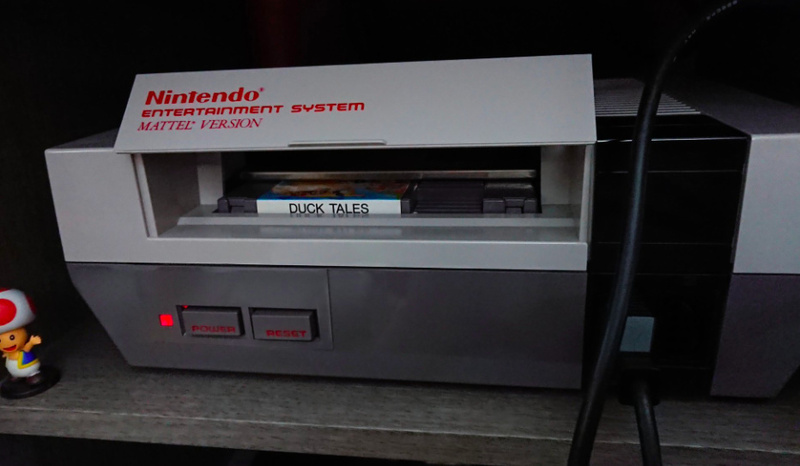 While this type of issue can occur with just about any cartridge-based system, especially if the games are stored loose, it’s a cultural practice with the NES." So how does Lock go about bringing these machines back from the dead – or at least prolonging their lifespans? "Typically I like to do my homework first," he replies. "I like to know the use history of a particular system if possible; who owned it before? Has it been worked on previously? Has it had faults before? If it’s been stored; if so, where and how? This information can prove to be vital in getting an idea of what state the system is in before it arrives. If the owner is confident to do so, I will sometimes ask for photos of specific areas inside of a system to aid potentially diagnosing the fault." "The next step will usually involve some research into the system, known common issues, locating a service manual if available, finding service bulletins if applicable (documented changes made by the manufacturer/service centres during the product’s life span to resolve accepted issues) and consulting any documented hardware wiki for additional information. When the unit arrives, I check for evidence that the system may have been worked on, modified or opened before (if unknown). I also like to visually inspect any input/output connections as that can be a clue to how the unit has been stored. I then open the unit and look for obvious signs of potential damage; natural or unnatural. This can act as a roadmap to a fault. If something is found immediately, it is checked to see if it could have any impact on what the user is reporting as wrong with the system." With a cursory check out of the way, the meat of the work can begin. "Next is onto general checks for the condition of component health, checking fuses, DC-input connectors, power trigger and activation components, whether there is no resistance (direct path) or incredibly low resistance between the voltage supply and ground (short to ground). Some systems will fall into the known faults category where all known service issues are corrected first before moving onto looking for other issues. If no obvious fault is found or known issues are corrected, I move onto powering the system on to observe behaviour. Some issues only appear after the system has been running for a period of time, others can go away after a short amount of time and some are immediate. Issues to do with voltage supply, CPU, RAM and address lines are typically immediately identifiable. Some systems may have issues with custom ICs that require donor parts from other failed systems, or are sadly not repairable. I usually go over any areas that required work under a microscope to ensure that no other faults are waiting to occur within the problem area. Abnormal audio issues and intermittent graphical issues can be a lengthy repair process." Lock clearly does an incredibly thorough job; you only need gaze at his Twitter feed and see all of the photos he posts to see the meticulous manner in which he restores these classic systems. But how much difference does all of this work actually make? How many more years does it add to a console's lifespan? "That can be very difficult to say," replies Lock. "These systems are not getting any younger, so new faults previously not encountered do sadly appear. If modern equivalent parts are used then you have the OEM’s part lifetime to go by – on average, aluminium electrolytic capacitors are estimated to last up to 15 years, for example, while coin batteries up to 10 years. 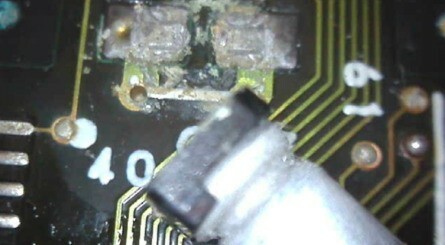 The big issue that occurs is when custom ICs fail. 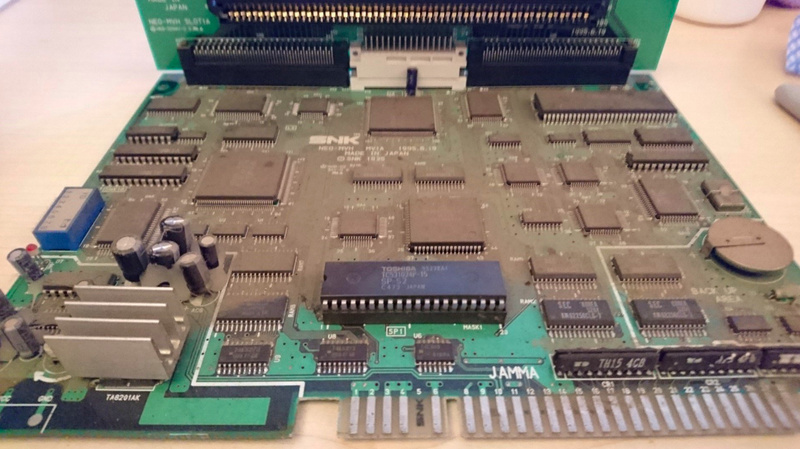 We currently see this with Nintendo PPU and CPU on NES/Famicom, PPU1/PPU2 and CPU on SNES and various BUS related ICs on NEO-GEO systems, SID’s on the C64 – to name but a few. Replacement parts are usually obsolete or proprietary designs with parts coming from other more unfixable systems are donors, which can also develop similar issues eventually. Some community members have engineered replacement, alternative or open source replacements for these ICs that can be used to restore systems to working order. This is encouraging and something I love to see. Alternatively, we’re seeing a significant rise in cycle-accurate or emulated systems being produced to fill the void created by the lack of working systems available or those seeking for modern creature comforts/improvements on hardware original designs." 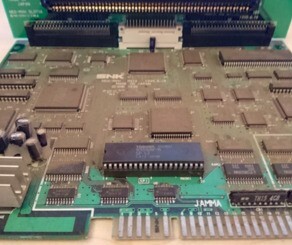 Indeed, the realisation that these vintage systems – while seemingly abundant now – are slowly shrinking in number as more units develop faults makes modern-day clones like the Super Nt and Mega Sg even more important; a common response when I talk to someone about these FPGA wonder-machines is, "I've got my old SNES and Mega Drive in the loft, chum. Why do I need to spend all that cash on stuff that does the same?" I have to admit, at one point in time I'd be inclined to think along the same lines (heck, my original Mega Drive and Mega CD combo remains hooked up to the TV despite the arrival of the Mega Sg, which my wife is utterly thrilled about, as you can imagine), but there may come a time where running vintage games on original hardware is not only costly due to a falling number of working machines, but also prohibitively expensive. Retro gaming is a 'supply and demand' business, and the moment supply dries up, prices skyrocket. Fixing up systems that are being used years or even decades longer than their original manufacturer intended is one thing, but what kind of longevity can we expect to see from modern systems, like the Switch, 3DS, PS4 and Xbox One? "I’d argue that we’re seeing more failures in modern systems due to various factors," Lock responds. "Heat is a constant issue throughout a modern system’s lifetime, along with storage lifetime. Another is due to the sheer demand, quality control of the number of components required to satisfy build numbers are more prevalent than they were with much older generations of systems. We’re seeing more design issues slip through to launch model console SKUs that have an immediate impact than we did before. It used to be a case of a certain game might no longer work correctly on certain hardware revisions, but now we’re seeing peripheral or console hardware/firmware issues from new. Multiple manufacturers are being used to facilitate initial demand as well, so different issues appear during the warranty period of what can appear to be two identical systems." The sheer complexity of modern-day consoles is another issue; while Lock can open up a NES and easily locate problems, modern systems rely on scaled-down chipsets which cannot be replaced without the correct equipment. "Systems are experiencing complex IC internal failure that cannot be resolved without access to new direct-from-supplier business arrangements and industrial level equipment for component level repair," says Lock. "Smaller and more portable systems are giving rise to repairability issues with access to repair techniques creating a steeper learning curve as component assembly becomes increasingly smaller, more complex and with less human involvement during assembly. There is also the 'right to repair' issue upon which certain parts are made exclusive and cannot be sourced other than by the company building the system. Another is the refresh cycle on hardware is becoming sped up; new features introduced and shorter warranties are offered on launch systems. There is also an argument for 'planned obsolescence' and set product 'end of life' cycles in both hardware design and software functionality as we rely in more internet-based services on our modern devices." 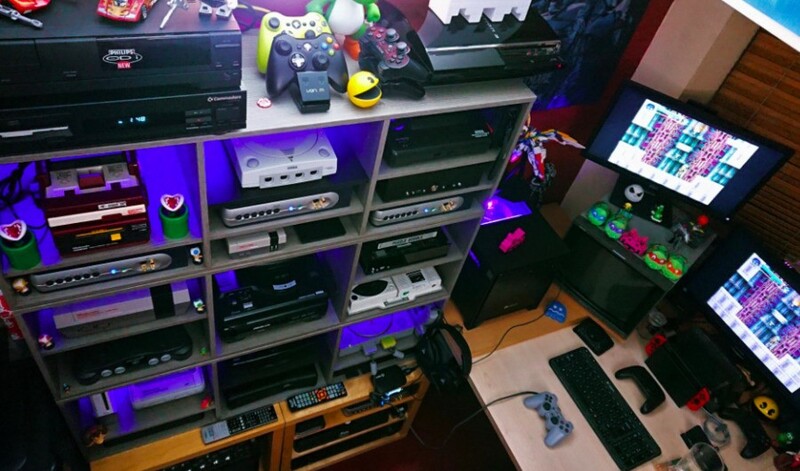 What ways can collectors ensure that their consoles remain in tip-top working order for as long as possible? "Don’t keep known perishable component systems in boxes for decades without being serviced," begins Lock. "Likewise, if you continue to use an unserviced system with known perishable component related issues, please get it serviced; there are only so many times you can buy used replacement systems before people eventually run out of currently-still-working systems to sell on. If you don’t regularly use a system that uses a rechargeable battery, get into a habit of powering it on once a month to prevent the battery from depleting fully and becoming under stress. If you want to store a system for a long period of time that has a battery, remove it or have it removed professionally. If you have a system still with an original non-rechargeable battery, replace it or remove it." Even with these steps – or a repair at the hands of a skilled technician like Lock – it's become clear (to myself, at least) that I've been taken my classic gaming hardware for granted. I've always assumed that they'd be burying me along with my still-working Japanese Mk1 Mega Drive when I eventually shuffle off my mortal coil, but it seems more likely that I'll instead need to be interred with my Analogue Mega Sg – or whatever the equivalent clone console is at that moment in time. Sniff. I know time takes away all things. At least I have kept good on my word to maintain all my consoles where applicable. My Atari still requires no blowing to start just fine. I am proud of that. shrugs my NES our mom got us as kids in the 90's is still running fine. Less parts to break I suppose. I’ve had to replace the pin connector in my NES, but all seven of my Nintendo consoles are otherwise in great shape. This article just fills me with a sense of inevitable dread, though. Nothing lasts forever, but let me live in blissful ignorance, haha. Yeah, pretty sure my 2600 will still work fine in 750 years time. Makes me want to bring out my old N64 while I still can. NES, Super Nintendo, Game Gear, Nintendo 64, X360(first gen). I had a spare N64 and bought a new X360. Glad to have the NES and SNES minis. Also glad that Switch has many game collections and for anything truely lost I have my computer for emulation. Man. This is a tough pill to swallow in many regards as my original Master System is still working but I know it won't last forever. I've seen plenty of toasted NES's and there are so many of them that I don't see issues in repairing them anytime soon. It's the more obscure stuff that worries me. TG-16 and Duo, Master System, Neo Geo AES and the handhelds too. Game Gear, Lynx, Wonder Swan and Neo Geo Pocket Color. Let's hope Analogue or somebody keeps recreating all of these machines into the future. I've said it before, but at least a fundamental understanding of electronics is almost required now for retro gaming. It's saved my neck I don't know how many times, and breathed new life into old consoles. It's also easy to pick up extremely cheap consoles in need of simple repairs if you're not afraid of a bit of small parts soldering. EDIT: It also opens up the possibility of cheap, non-destructive RGB mods to bring out the best of your old consoles, rather than paying tons of money for someone else to do it for you. Despite what most seem to think, it's not overly difficult to learn either. @Beermonkey Unfortunately, that is extremely common with many consoles of that era, especially Sega. I've recapped countless GameGear, Nomads, and PC Engine GT/LTs. Last year I dug out my old Sega consoles. 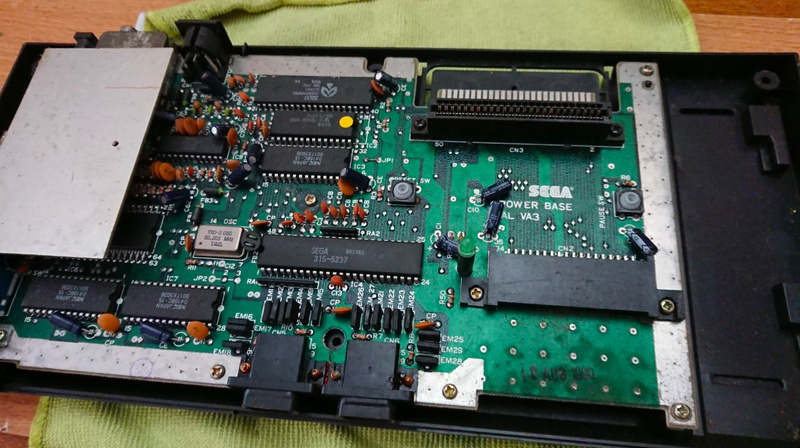 Master System switched on but couldn't get the controller's right input to respond. A problem when I wanted to play Sonic! Mega Drive wouldn't even turn on. Saturn turned on but was so slow at loading, I put a disc in and after finally reaching the title screen it wouldn't go any further. This is exactly one of the big reasons why Nintendo's approach to retro games on Switch (as well as shutting down the Wii Shop Channel) is extremely obnoxious. While it's nice having original hardware, it will die eventually and lots of games will be lost forever as a result. While far from perfect, what Microsoft has been doing with Xbox backwards compatibility over the past few years is a step in the right direction. And yet I've more confidence in the retro stuff outlasting me than any of the current gen systems. one thing i love about the xbox one x is the patched original xbox and 360 games. enhanced xbox games look amazing for their age. If retro consoles are anything like pinball machines, I think it's safe to say that hobbyists will be able to keep them working for decades to come. There are pinball machines from the 40's that can still be played thanks to devoted hobbyists restoring them. In pinball, there are also tons of replacement parts being produced and sold, and I'm sure retro consoles will also start receiving more reproduction and replacement parts as the need for them increases. This article is pretty doom and gloom, but being a part of the pinball community has shown me that most things can be kept working far longer than they were ever meant to by anyone with the passion to do so. I had two original NES models and both ended up being unreliable and eventually wearing down permanently. I got a top loading NES back in college at a used game shop and it worked flawlessly, but now I don’t have a TV that it works on anymore. I don’t play retro games enough to do all the work to refurbish the consoles. The NES and SNES Classics do a good job itching the retro scratch, and my VC collection on my Wii U and the retro collections on Switch are filling in the gaps. I just don’t have the time to play all these games and my backlog is already full of current titles I want to play. However, I tried my parents old Atari 2600 a few months ago when helping clean out the house and it worked remarkably well. Most of the things in the photos look like neglected consoles. Just learn how to open them and clean them every 4-5 years. Do not keep them in humid and hot places. Also the nirmal stuff like do not drop them, spill water on them etc. That way most consoles will outlive lots of people. To be fair here, they're mainly talking about a sega-cd. Sega is pretty infamous for hardware problems. About 70% of genesis models are utter crap, and the good ones still typically need work on the boards. Likewise it's nearly impossible to find a gamegear in working order unless it's had a tune up. Nomads need work, Saturns need tune ups, Dreamcasts typically need the laser tuned. You get the idea. I'm not saying consoles won't have problems but sega is really not a great example overall. My game gear stopped working 2 years ago. I still have it and can’t let it go. It needs a new board. I know everyone hated it, but I bet the OG X1 lasts for an age! It has little problem with heat dissipation because it is so big and roomy, the heat from the power supply is all external and after the red ring of death MS will have gone in hard on making sure it didn't happen again. It might have been a big beast but that thing will last. Sad, but fantastic article. This is the kind of stuff I love to read here. 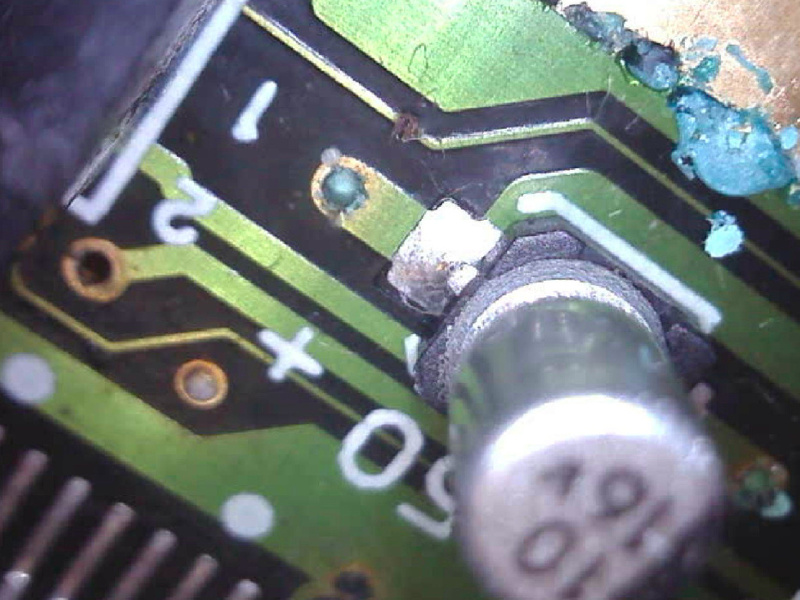 I'm no Lock, but I do know how to handle some more basic level soldering and component swap/repair. I've had to self teach myself these things because I have like some kept their toys since the 80s and they fall apart, or I've picked up stuff since with an unknown history. I'm talking not just console and handheld, but also later 80s/early 90s arcade level stuff too. You have to just keep an eye on it now and again or well, that's the risk which may or may not be an acceptable one to you. I was a purist forever, kind of partly still am, but I have respectfully moved into the realm of hybrid hardware (HiDefNES Kit in a top loader, UltraHDMI in a N64) to the SuperNT or a GC2HDMI external adapter on a Wii too. I'll even fire up a Supaboy S or an oddly non-trashy FC Mobile 88 for some portable fun on the go. I keep the old NES and SNES in their box at this rate semi-retired, what else can you do? @1UP_MARIO Fortunately, you now know who to call! Some are worse than others but generally speaking all consoles pre CD seem to be much more reliable overall and much easier to fix if need be. I've replaced parts in my NES which I find to be the most unreliable of those of consoles mainly due to the pin connector and lockout chip causing issues. Everything else I have seems good but I do worry about my Saturn and its unique AV port and will at some point have to replace it with something more conventional. Digital-only supporters are somewhat correct in their assertion that their games will last longer than physical, but only when you figure the games are DRM-free, like ROMs or ISOs. DIgital storefronts get pulled, games get pulled, hardware dies, but if your digital file can jump from hardware to hardware, long after your current console has become vintage, you're golden. I'm not saying I'm in favor of piracy, and I apologize if this comment violates the rules, just my thoughts. We are all slowly but surely dying from the moment we are born. 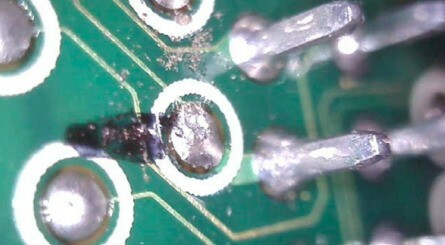 Based on my experience with my early 1990's Macintosh computers, capacitor leaking is a question of "when," not "if." If you open up your systems you will likely find it. One of my old Mac lists have several people who will repair systems for nominal fees, I wonder if we have hobbyists who will also do the same? @Grumblevolcano what is Nintendo's approach to retro games on Switch? Emulation for the sake of piracy is problematic for companies. Emulation for purposes of preservation is necessary if we want the medium to have a complete history. Yes, emulation does not offer 1:1 authenticity... but neither does film conservation. It's about preserving as much of the genuine artifact as possible. Articles like this are a good reminder of why it's necessary. Mario, Zelda, etc. will be fine. There are likely thousands of games that would rot out of existence if not for the work of conservationists (and emulation is one part of that). @carlos82 That is mostly thanks to them having less moving parts and complex construction. 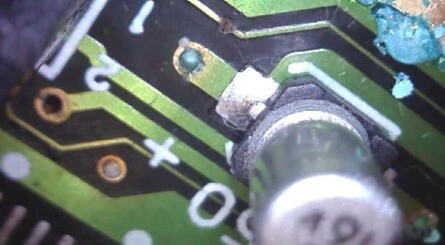 But, there are still parts that can go bad like old capacitors (the Turbo Duo is the most notorious). The classic NES is known for having a poorly designed 72-pin connector caused by the pressure on the pins by loading a cartridge (which you mentioned). But, for the most part they are solid because of the lack of complex components and their simple construction. They are as you said easy to fix for even a basic level hobbyist thanks to those very simple boards and points of failure. Disk based systems are known to have their drives fail because of the amount of moving parts just to run and scan the disk. I'm more concerned about modern systems because of the more complex components and they have been known to fail like the Xbox 360 due to design oversight. I feel my SNES will out live my modern systems most days. The last paragraph is 101% valid for me. Last month I decided to replay Super Mario Galaxy. My Wii had been kept still and safe in a box for the last 4 years. Beautiful, clean, without any scratch. It worked fine for 2 hours, then it gave me the error message which probably points out to reading problems, which is quite common among Wii owners. And it has made me think about this false sensation of preservation and of having consoles to play when I want to. Now I know it's not true anymore. But like the author, my original Japanese MK1 Mega Drive still works normally. It would be so easy if copyright holders made their retro game libraries available instead of just taking legal action against rom websites. There are a lot people willing to pay for retro games, so why not make them available? Very true about recent consoles. There's more small parts, and less human involvement getting them together. I mean even the Switch has seen its fair share of problems and it's only 2 years old. Back plates cracking/chipping, joy-cons drifting, joy-cons getting loose on the rails of the Switch itself. It does make you wonder how things are going to be 5-10 years from now, especially for original Switch models that have had these issues. A good read. Sad overall, but nothing lasts forever unfortunately. Even if my old consoles die, I can be happy knowing I had so many great experiences with them that I could never replace. That being said, if the consoles failed I would still get them serviced. My kids might want to see them in action when they get older. @Lionyone For 1st party retro games, it's a case of Nintendo locking them behind the paid online service and release at a very slow rate (2-3 a month, currently NES only). My 23 year-old n64 has survived drops, stickiness, paper in the machine and still works (mostly) great. @Anguspuss No Microtransactions? That's it a no download for me! Dug out my ninja gaiden black when it became backwards compatible. My god it's like playing a new game it looks so good. Problem with the NES is that over time the cartridge slot gets bent due to overuse. Same thing with the cartridges themselves if you leave them in the console too long. Even upon release though this was an issue, with coarse lines running along the screen and the infamous repeating title card flashing indefinitely. I don’t remember this being an issue on the SNES or N64. All about storage. If you keep them stored in a room temperature closet in a bin or something of that nature they'll last forever. My SNES still works flawlessly 25+ years later! @mystman12 Surprisingly, there are actually a decent few pinball repair shops around me. It's impressive, as pinball machines are actually way more complicated than most realize. Definitely food for thought, but honestly, is there ANY consumer device from the 1980s that still works as brilliantly as most NES consoles? Sadly, I don't see the same kind of 'boom' happening to retro consoles. But at least we have alternative ways of playing these games now days. The scariest thought that keeps me up at night is disc rot. Due to the adhesive used on CD labels, the lifespan of CDs was greatly overestimated, and now we're seeing everything from videogames, DVDs, and data storage become unreadable, with no real way to fix. Of course no console, or any other electrical device or appliance, will last forever, but good care and awareness of the how and when goes a long, LONG way to preserving them for a lifetime or even posterity. As far as consoles go, give yourself the reminder that if you need to store them, due to lack of space or whatever, that you don't just stick 'em into a plastic bag or cardboard box, and then put them away in an attic, cellar or garage, because that's just an accident waiting to happen. A good memory aid for where to store them, is the fact that besides being labeled video game consoles, the general category of them is, as we all should know, called home consoles. Also, the tip mentioned in the article, to boot them up every once in a while, is a really good piece of advice. I do this with systems that I don't really play on anymore, such as the GameCube and the Dreamcast. But they're still hooked up to a second screen situated in my living room. My main screen setup has the Wii, Wii U, Switch, Xbox 360 and Xbox One S hooked up to it, and these are all used on a fairly regular basis, but the GameCube and Dreamcast have been relocated to the other, smaller screen ever since I added the Wii U to my main setup. But nearly every weekend, I let either the GameCube or the Dreamcast run in attract/demo mode. Both of them have a Soul Calibur disc loaded, simply because that's one of my all-time favorite series, and because even on the Dreamcast, it still looks SO good, to this day. Once they're switched on, I leave them running in demo mode for about an hour or 2, 3 and then I switch them off again. Alternating between the GameCube and the Dreamcast each week, means I run them both twice a month, which helps quite a bit with ensuring they're in as good a working order as I can keep them. And them still being installed in my living room, ensures that they're never really subject to any extreme temperature changes, since my thermostat takes care of that part. Having said all that, good and interesting article, though, @Damo. 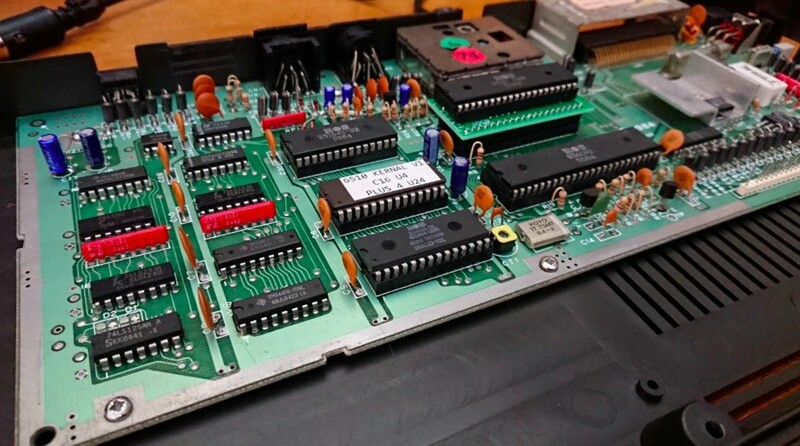 If you remove the 10NES chip and replace the 72 pin connector with one that doesn't require being pushed down, you end up with a much more reliable NES machine. I play the Switch 80% of the time in dock mode. When I take it to work and play it on my break, I'm very careful of how hard I use it. It still works very well and very little wear and tear as far as I can tell. Yeah... I turn that amazing 40 myself this year, Damien, so I know where you coming from. I have an NES I can still fire up when I get it out the closet, but I know one day emulation will be the norm for all my oldest retro memories. Sigh. What a future that's coming: More old systems breaking, emulation increasing for software and hardware, cloud gaming, physical media supplanted by digital... I have no idea what kind of gamer I'd be in another 40 years if I live that long. Of all the consoles I own, the Super Nintendo has been the most reliable and most functional over time. Besides that horrid yellowing that happens to the outside casing, it works just like it did in 1991. @Medic_alert I don't think both the Xbox one and PS4 have mechanical hard drive. If you find an original Xbox 30 percent of the time the hard drive is dead. I admit I’ve sold all my retro systems over the years and just kept upgrading. I’ve had everything from Atari 2600 with 30+ games, nes up to my current systems. I still have my Wii U only because it’s still used daily by someone in the house, and it has 300+ games with Wii, vc etc... my 3ds has ds and Eshop totaling over 100. I sell any games I can after beating them if they have no replay value, or just to get full value back and then rebuy it years later dirt cheap to replay it. I played those retro games and still do, but don’t need to experience owning systems I’ve already owned and played plenty of obscure games on that aren’t the same 20 nes classic ones. With my switch and it’s growing library, I already own a life time of gaming that I really should stop buying, but I am planning on 5 games this month alone. And I have a pc/ps3/4 as well. @607jf they do both have a mechanical HD. The good thing about them both though is it is easy enough to change. The PS4 is an absolute doddle. My old DMG Gameboy developed lines across the screen after just several years. The lines were both vertical and horizontal. I know one of those is not too hard to fix, but both is trickier, and I consider that machine retired. My Game Gear has the typical display and sound issues as expected. I can make out an image on screen at the correct angle, so I know it still works. I never had good luck with the Saturn. My original from 1995 needed two warranty repairs and then worked for years, but stopped reading discs yet again. My second Saturn worked for a while, but seems to have power-delivery issues. Luckily, everything else I've tried seems to be working well. It is interesting to see how each system ages and what specific problems each one develops. None of us will live forever. Lol yeah man, sacred reminents of the past. I'll be 50 in 15 years(eek) and at that point I probably won't even care if my old original hardware no longer works. If they can create an analogue NES that looks like the original nes (let's face it analogues nes design is awful. They did a fine job on their HD she's and OK job on the Genesis but neither look as good as the OG hardware. I official mini consoles look great but those just utlilize roms/emulations) than I'm on board. What upsets me more is that 80s and 90s crt tube tvs will crap out and cease to exist down the line. The Super Game Boy I bought a while back stopped working last week, heh. Luckily, my SNES and Game Boy Advance still work... but for how long? I’m glad I’m blessed with such a rich retro catalogue. My father lets my siblings and I use his NES, SNES, Genesis, 64, GameCube, PS2, GBA, and Atari. We still buy “new” games for most of them. I’m glad I’m able to use them while they still run. Fantastic article. I love the details of the hardware and the prognosis of present day systems. 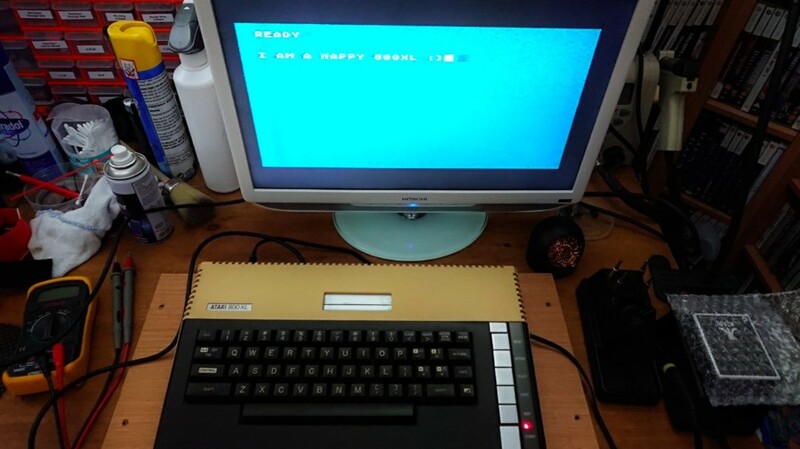 It has been a long while since I powered up my 2600. Hmmmm . . . I guess I'll have to learn how to repair some consoles 😅 as I have been wanting to play on N64 for a long time now. One thing to be remembered to All gamers, NOTHING is Eternal in this world including video games. Your video game machines and the softwares eventually can rotten away (Depend on your treatment) no matter how hard you try to preserve them. And beside... You cannot bring them into your graveyard when you have passed away nor even bring them to after life world. My advice, take care your games as you can and don't cry too much for them when they are dying by the time it comes. Say thank you to your games for accompany you while they were still able to be played and try to move on from your grief feeling after you lost your video games function. Just let them go and you can continue your life without any sorrow and guilty feeling. Did anyone actually manage to get through this entire piece? By about the fifth paragraph when I still hadn't learned anything, I gave up. @Muddy_4_Ever you said it perfectly. At some point when the companies drop their support I'm glad the preservationists step in to archive the content. Always keep a backup! I keep all my consoles which aren’t in use at 13 degrees C and 50% humidity - doesn’t fluctuate all year round. This was an interesting read. Ive definitely had systems fail on me in the past. My PS2 that ive had for almost 10 years (Launch Model) had to be repaired because of the disk read error that plagued it. Then the lens started to give out, and I had to fix it myself. And recently, it finally kicked the bucket and i had to buy a new one. My Sega Game Gear stopped playing sound (though everything else works just fine). My First SNES fell apart, and I had to replace it. Sometimes i feel like most game developers just want us to forget the past and move on. I'v got 15 systems hooked up along with two classics and a fair amount of handhelds. All work great and get used frequently. They definitely require routine maintenance and cleaning but for me, that's part of the joy of having a retro setup. Recently I got a little tired of boiling pin connectors so I bought the Blinking Light Win for my NES and so far it's been great. I think the retro consoles made in Japan will outlast current consoles made in China. Maybe one day Nintendo will re-release the actual retro consoles and some of the best selling games from back in the 80s and 90s. all the more reason that emulation and preservation is so vital. Eh, there's some fear mongering in this article. Yes, we know Sega has rather poor build quality, but that doesn't mean your SNES or N64 is going to disintegrate. I've had to replace my N64 power supply once. Other than that it's 100%. My SNES doesn't work anynore however. It has a blown fuse (power light doesnt turn on) and I haven't bothered to replace it yet. "planned obsolescence" Is indeed a very real and very serious problem I don't see enough people talking about. Companies don't want you to use their products past a few years. It is not a coincidence how many products begin to fail right after the factory warranty expires. Long gone are the days of lifetime guarantees and products designed to last decades. From game systems to refrigerators to automobiles to smartphones, products are designed to fail after a certain point to push consumers to buy new ones. 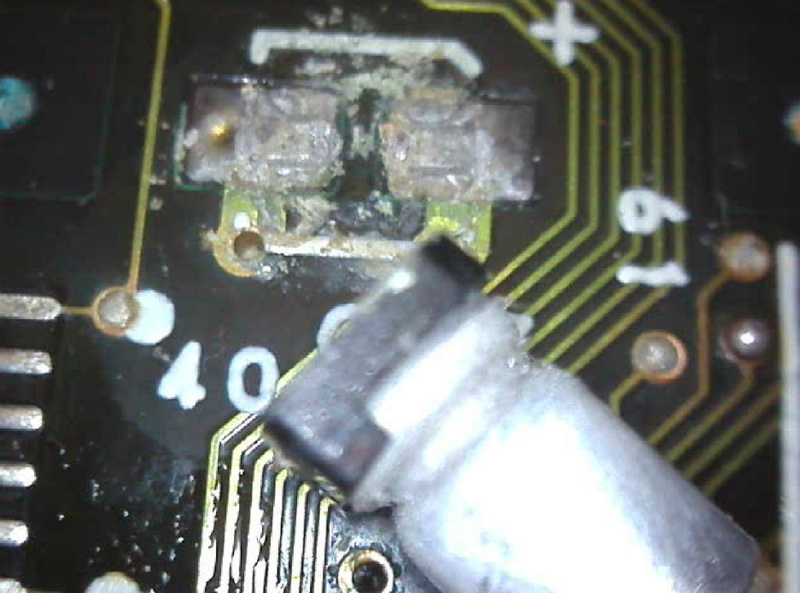 @607jf I bought a used NES and found that taking it apart and boiling the contact the cartridge connects to has it running better than new. In fact all I have to do is insert the game and don't even have to press it down for it to work. I'm sure given enough time other electrical components could fail. But with the limited use I put in on some of my original consoles like my NES, SNES, Gamecube, Genesis, PSOne, PS3, Dreamcast, N64 and others there is a good chance they will last for quite a while. @Heavyarms55 Nintendo was famous for "planned obsolescence" beginning with their office printers years ago. I suppose this article could be helpful for people who do not deal in anything retro but repairing retro electronics is actually quite easy and there is a lot of great information out there. I have repaired a lot of consoles and PC's and it is both simple and satisfying. It's most clearly visible in the smartphone industry, with companies outright refusing to support older models. Even when their apps and services could still run on a device with those performance specifications. But car companies, appliance companies, game and PC companies do it too. Countless are the stories of people reporting problems beginning after factory warranties expire and that is no coincidence. @Desrever Oh man, Black Knight: Sword of Rage is one of the first new pins in a while to really excite me. Hope I can find one to play somewhere. As for retro consoles, you might be right that they may never experience a resurgence in popularity like pinball machines have. The analog nature of pinball makes it much harder to preserve digitally compared to video games. A lot of people will be content playing games via emulation as games play almost exactly the same as they did on the consoles, whereas pinball needs to be played on the real machines for the full experience. That's one big difference between the two hobbies. Still though, I have no doubt there will be a group of dedicated people keeping retro consoles up and running for a long time, even if that group never gets super big. And yeah, disc rot is scary too. I've backed up a few disc images, but I still need to take a day to backup all of my CDs. The game consoles that 100% died on me are: My original NES, my GBA, a used Game Gear I bought which died after 2 weeks, my used GCN, a FC Game Console I killed my plugging in the wrong AC Adaptor, my used Vita after 2 months, & a used 32X I bought which died as soon as I took it home so I returned it. I've never had any permanent issues with my other game consoles. If you ask me, the highest quality console is the Genesis Model 2 which never seems to fail. N64 is a runner up. @PBandSmelly It will happen to the Switch a lot sooner than most of the classic consoles, due largely to it having a sealed-in battery which has a limited lifespan. Any new Switch really should allow us to easily replace the battery ourselves, as the Wii U did. @MaaadMatt you can replace the battery rather easily from what I've seen (no soldering required!). But yeah I'd be surprised if the Switch lasts as long as even the Wii. Hell, Wii U discs are apparently susceptible to disc rot. @Trajan Yes, but a simpler process - Nintendo selling spare, higher capacity batteries and a compartment specifically designed to be opened by the user - would be ideal. It's a strange design decision considering the Switch isn't weather-sealed, so the battery doesn't really need to be sealed into the unit. Every good thing must come to an end so sad to say. But if you take care and try not to abuse your consoles, they should last a good time. Which is why backwards compatibility and emulation must never cease to be. Model one Mega CD is for lookign at not using, they are sooooooooo fragile. This is why mini consoles, emulation and the like are essential. Physical needs to co-exist with digital and Nintendo really needs to make their library of games readily available at all times. Not only do the systems age, the way we play ages too. Using a Wii remote, a gamepad, or getting sore thumbs from the plastic knife that is the N64 control stick are all hard to go back to after Switch and 3DS. I'm glad to see this article, as I've been telling people for years to stop the "physical is forever" fallacy to support their preferences for physical media. I'm a collector myself like the author appears to be, and while most of my consoles do still work, I've had my share of issues as well. Games mysteriously stop working, consoles that worked fine before giving me trouble, TVs giving out on me (CRTs are not common to come by either), and the death of one of my Game Gears. If you buy physical media or collect it, you NEED to be aware of the fact that things will break, go bad, or stop working. It comes with the hobby. I have a Model 1 HD Graphics (the best model) Sega Genesis and I'm still dreading the day it conks out on me. Same with my various SNES'. The biggest culprit I've seen as far as dying hardware is the Playstation 1. I've got a closet full of broken PS1s. Those things just don't last. I've had to resort to using PS2 slims to play PS1 games. The good news is, aside from emulation, we have other retro gaming enthusiasts working to get more parts made, build better clone consoles, etc. Even if our consoles do eventually die off on us, we'll have alternatives. I'm thankful for the possibilities of emulation. Hopefully Analogue keep on releasing new versions of these old consoles, so my original games will still have a use. Not sure if they’ll ever get into CD based systems, and I imagine the PS2 generation is out of their reach, for now at least. It is sad, but not unbelievable. Thank goodness for emulators who preserve games, for ports and light remakes, for plug n plays and eshops. I'm super glad Sega's doing the Genesis Mini for this reason, because now we finally have Sega making new 1st-party hardware again, which will ensure many more years that their hardware can be preserved as well as their software. Mine still work perfectly fine and haven't had a problem in all the years I've owned and as long as they continue to work I will continue to keep them and enjoy them. I know things don't last forever but I'm hoping I will at least get another 20 years of use out of them. But this is also why it's so important to give us access to old games via other means. Once all these old systems finally die for good, old games that haven't ported to newer systems are basically lost forever. this article reminds that i have to replace or remove the coin battery in one of my laptops. since the battery failed, the system now has an issue with certain firmware settings being reset every time the system is unplugged for a few minutes. it also makes it so that the laptop's battery cannot contain a charge properly. i only have two nintendo systems in perfect working order. one of them being my gameboy color and gameboy pocket. of course then i modified one of them so an internal coin battery is not needed as well as certain other components to keep the system in perfect working order. however, those parts do have to be replaced or calibrated on a regular basis. the only point of certain custom modifications that i made is to keep the primary system as well as certain need components in perfect working order. this way i will only have one small part in need of being replaced instead of many. at this point i only have two systems that have hardware issues. the gamecube and the Wii U. the Wii U has some issue with over heating at times and there is nothing i can do to fix it. i even set it up so that it is stored and used in a so called perfect operating environment. temperature and air flow conditions are setup to allow my gaming systems to be able to cool down on their own. to bad Wii U heating issues aren't fixable from my experience. at least my gamecube only has minor issues reading the game discs at time, but there is an easy long term and short term fix for it for those who know how to take care of their gaming systems. as for DVD issues with the Wii U, i cannot say of wether or not the drive still work since i haven't even put one game in the drive. from my experience, slot loader CD/DVD drives are prone to failure and have lots of issues. one of my older computers had a slot loader CD drive and it literally swallow the disc and ate it whole. somehow when the disc was swallowed it ended up behind the CD drive and below the motherboard. hopefully, my gamecube and nintendo switch for last for many more years to come. Have my systems in a converted side unit with doors so they are protected from dust and light. I’m almost to scared to use em now 😫luckily I have a Retron 5 so I use that a lot. But maybe it’s time to invest in NT and SG hardware. This universe and everything in it will eventually succumb to decay. It’s a terrifying, sobering thought, but it’s eternally true. Live life to the fullest while you have it and game on until you no longer can; whatever form that needs to take. Disc rot is especially shocking; we all thought that so long as the plastic was intact... but we didn’t think about that glue that keeps the layers together. This is why both digital and physical preservation is a must, and I am just very thankful for the people that have put their hearts into, increasingly, achieving it. This was a great article, maybe a bit too wordy (due to Locke’s long winded, but very insightful information), but it really has bummed me out. That's why I specifically sourced a megadrive MK1 HD non tmss from ebay. I threw away immediately the original power supply and cheepo replacement he sent. Mega MK1 High Definition graphics are usually robust anyway LM 7805 are fine not as efficient as modern switching regulators or dc to dc converters but using a decent switching power supply for megadrive will eliminate any issues or stress on these components. In fact if theres any one thing you can do preserve your old consoles is use a DECENT modern switching power supply, it will protect the logic board and its devices compared to original unregulated power supply. I'd avoid cd or dvd based consoles like the pluage. Those optical drives were built on the cheep and will fail. Then there's the problem of oxidising of optical discs. if you have to collect go for modles that have less complex drive mechs like top loading with a manual door instead of front loading or ones that use a tray. Such a well made, and depressing article. One other issue with storage I've recently become aware of through audio is Al electrolytic capacitors, in storage, only have a real shelf-life of about 2-years, particularly older ones. If in storage for too long, the caps can also dry out, but even if they don't they may need a slow shaping current over days to recharge them and bring them back up to normal. I've never been aware of that in the past, that you should take equipment out and power it on periodically. Though I've heard some say that's more of a thing in audio due to older tube driven equipment and the incredible voltages used, so it may or may not affect console caps. But caps from the golden ages of gaming were much lower quality than modern ones to begin with.